You know where you want to go, at least roughly. I’ll use Chicago, O’Hare to Bali, Indonesia (a nice aspirational destination) as the example. 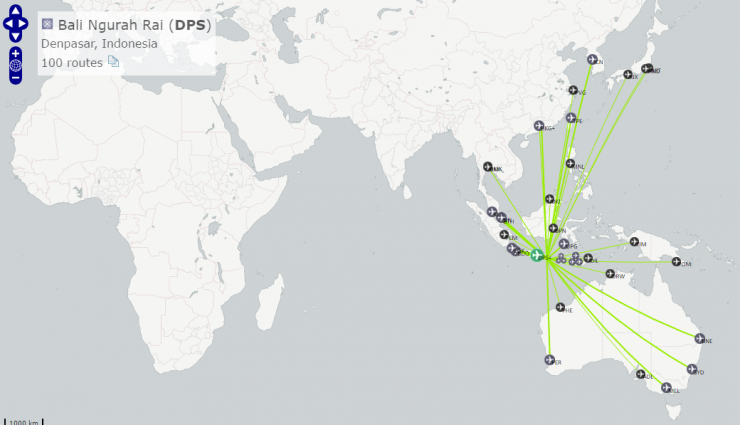 To identify what airlines fly to your desired destination, I recommend using OpenFlights, which I’ve written about before, but be aware that it may not make the distinction between seasonal and regular flights (or what specific days an airline flies). You’re probably noticing the trend here. I always recommend that you break your award search into each leg. The key to any award travel search is to break a trip up into its component pieces, assuming you cannot fly non-stop. Then I usually search for the over water portion first. 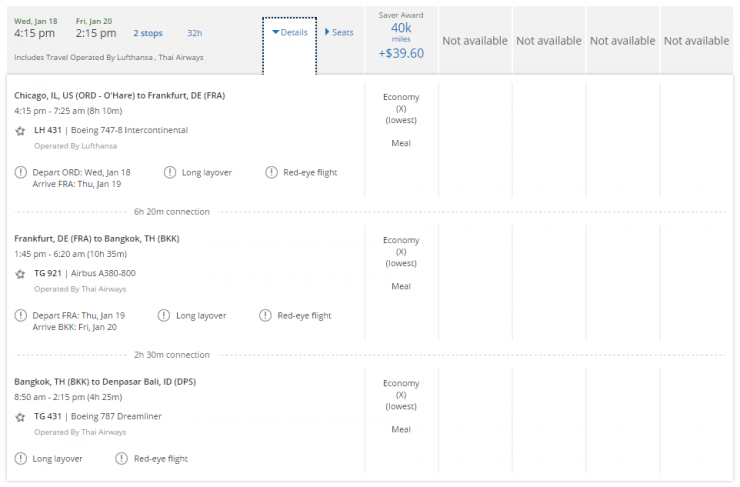 Now this logic may not necessarily work when booking on some airline sites, like United’s new routing rules and engine. But for the most part, you’ll notice that overwater flights are the hardest to find. So for getting from Chicago to Indonesia, you will for the most part be looking for TransPacific (TPAC) flights. The exception, of course is United, which might come up with an option via Europe. Your chosen airline or alliance will limit your options—unless you have plenty of miles in various transferrable currencies). So now you know how you can get from Chicago to Asia, and you know what options you can connect onward to Denpasar-Bali, Indonesia. Now, logically that’s easiest to work with. If you have to work with connections, well, now you start to run up against the risk of agents telling you that what you want is a multiple award trip. That would be leaning more toward an intermediate level. So, we’ll go ahead and leave things here. Please, share your questions – how can I improve this first level basics of searching for awards?